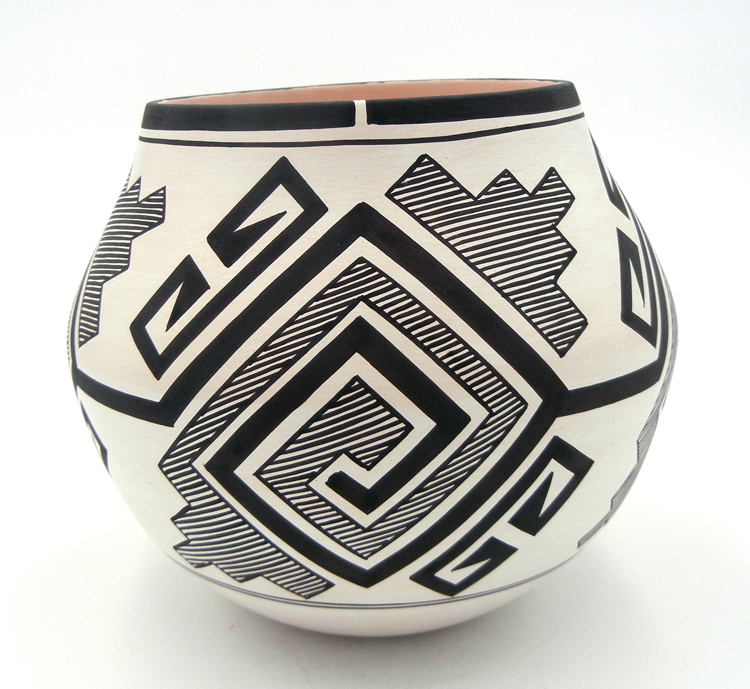 It is our pleasure to introduce to you one of the most prolific contemporary potters from Laguna Pueblo, our friend, Myron Sarracino. 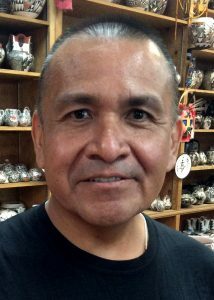 Born January 8, 1967, Laguna Pueblo potter Myron Sarracino began creating hand-coiled, traditional pottery at the age of 17. He was inspired by his grandparents, Thelma and Sandy Sarracino, and by a good friend of his, Verna Soloman. Myron learned the basics of traditional pottery making from his mentor, famous Pueblo potter Gladys Paquin. 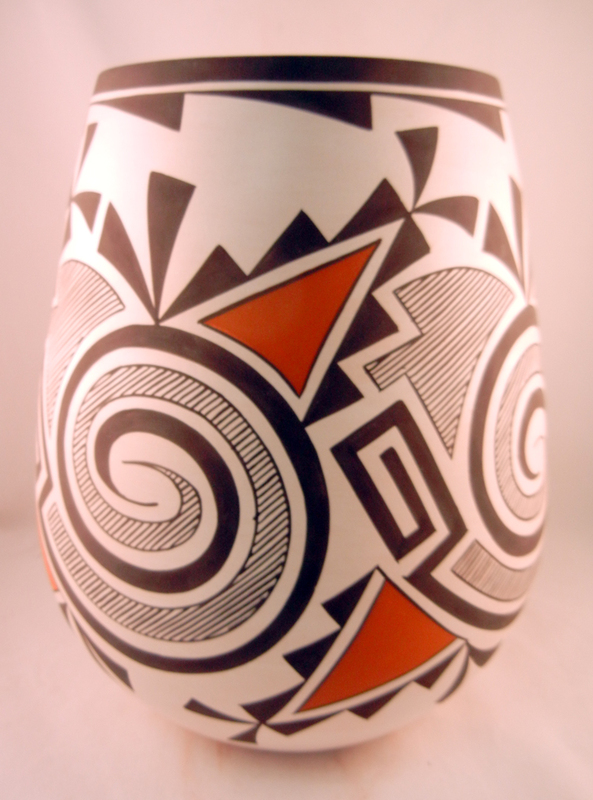 Myron uses clay from his home, and pigments from minerals in the area to both create and paint his beautiful works of art. His pieces almost always feature a break in the line of paint surrounding their openings, which represents the doorway between the piece’s spirit and its new home. A very spiritual person and potter, Myron tells us that when he creates a vessel, he listens to it to find the design inside. He can also see the finished pot before he even begins creating it. 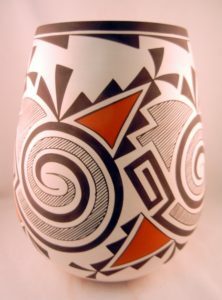 Most unique to Myron’s work is the fact that he draws inspiration for his recognizable designs from old, broken pottery shards from Tularosa, while also using crushed shards from this same pottery to instill that spirit into his pots and bring that spirit to new life. In this way, and in his own special way, Myron is bridging the gap between old and new, and reviving patterns once thought lost. 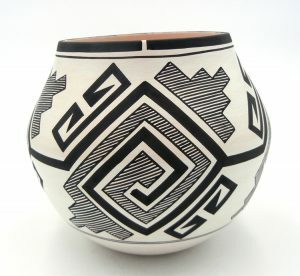 He is truly the embodiment, and exemplary of, the importance of tradition, culture, and spirituality of Pueblo life.